These days, it’s not easy being a racist. It can get you fired, prevent you from being hired, and unless you want to move to Alabama can really limit your circle of friends. 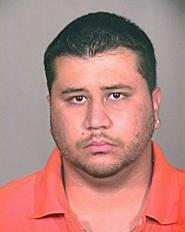 Just try to imagine the hoops poor George Zimmerman had to jump through in order to express his dislike of all people with dark skin. He was half Peruvian, had a Jewish name, and according to most of his photographs, looked like a day laborer from the Home Depot parking lot. Well, George was made from pretty stern stuff because he didn’t let his obvious ethnic handicap get in the way of his love of bigotry. He may look like he should be selling oranges by the side of the highway, but in his chest beat the heart of an 18th century plantation owner. On the evening of February 26th, George was patrolling his gated community looking for dangerous minorities, when he spotted Trayvon Martin. George’s trained eye told him there was clearly something dangerous about the young man carrying Skittles and an Arizona Iced Tea, and he called the police. He described the 17-year-old as looking “real suspicious,” and decided to monitor him. I know the word hero is thrown around a lot these days. It’s applied to sports stars, politicians and even people championing an unpopular cause. Well George, not only did you overcome tremendous obstacles to realize your dream of winding back the civil rights clock a century or so, you did it in the most unpopular way imaginable. If that’s not the very definition of a hero, I don’t know what is.